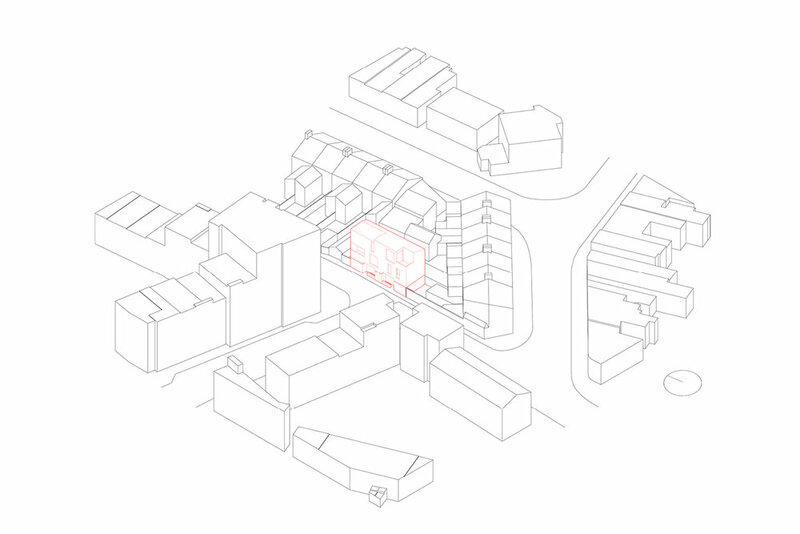 Using an interlocking, staggered maisonette design, this tight urban garage site in Plaistow is being redeveloped to provide two 3 storey houses, each with private defensible entrances set back from the pavement, along with generous external amenity space. Drawing cues from the surrounding area, the industrial architectural language has been incorporated in the design, refined in the detail. 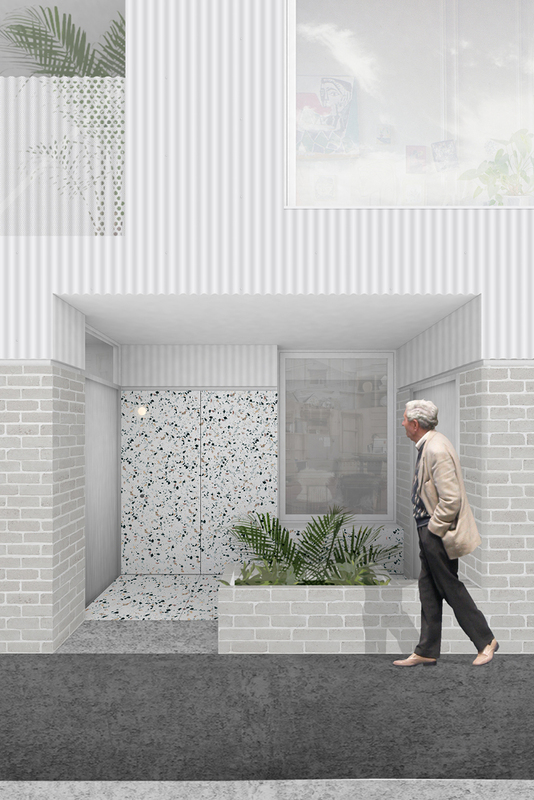 Profiled metal cladding is used in bright white, perforated to create balustrading; a neighbouring brick datum is continued through the building in desaturated tones. 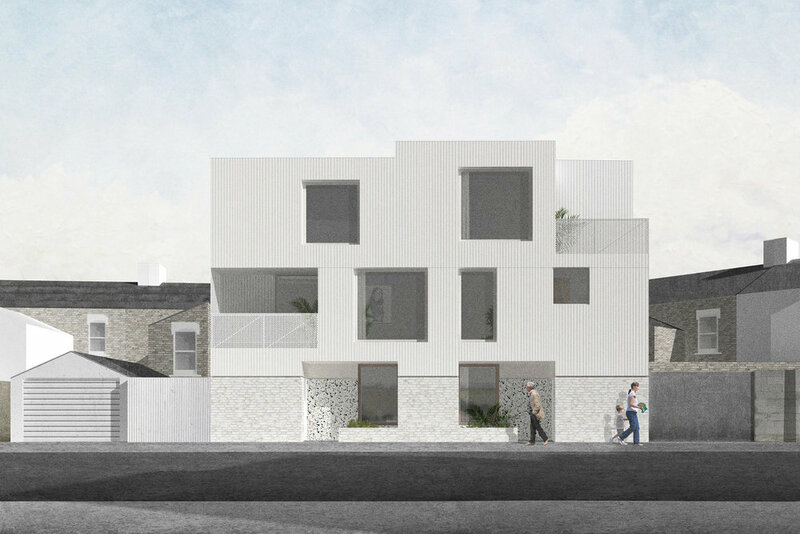 Upon stepping into the footprint of the building, a more vibrant character is revealed.